train in motion moves swiftly along a pre-determined path, and since the engineer has little ability to steer, a change in course is only possible by the use of a switch in the track. If the train is headed toward a dead-end, and no switch is available, the results can be catastrophic. The same principle can be true in life; certain decisions head us down dangerous paths. Whether it's our health, our finances, or our spiritual life, knowing how to get on the right course is essential. 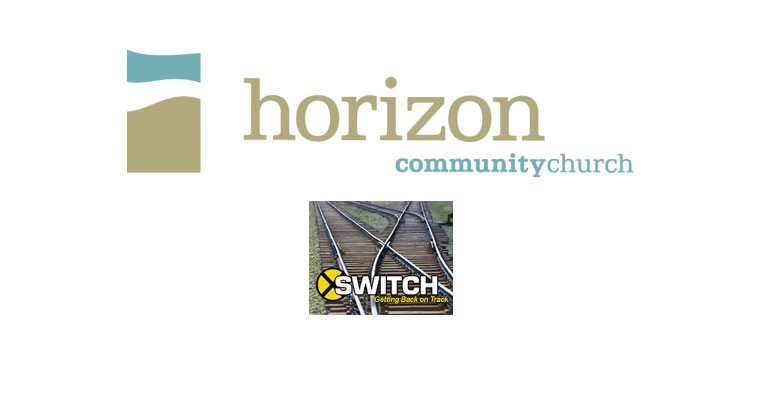 Join Horizon at 10:30 for SWITCH and get back on track. Series runs Aug. 22-Sept. 26, 2010.